Alton Parker might not be remembered by most Americans, but collectors love him because his pins are so scarce and so well-made. 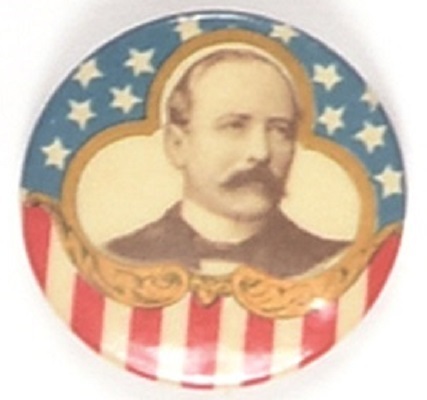 This beautiful 1 1/4 inch celluloid with bright colors is from Parker’s 1904 campaign against Theodore Roosevelt. It has a Baltimore Badge back paper and is in excellent condition.